Opposition leaders are not hesitating to say that Netanyahu’s days in power are numbered, after one of his confidants reportedly turned state witness in a bid to incriminate him on corruption allegations. Shlomo Fiber, former director of the Communications Ministry under Netanyahu, who is under arrest on suspicion of advancing regulation worth hundreds of millions of dollars to Israel’s Bezeq telecom company, will allegedly testify against the prime minister in the so-called Case 4000, the Jerusalem Post reported. Bezeq, in turn, allegedly made sure that its popular news website Walla would provide favorable coverage of the Netanyahu family. This bombshell report comes shortly after an explosive allegation that a different aide made an attempt to bribe a judge in exchange for dropping a corruption case against Sara Netanyahu. Leader of the Zionist Union party Avi Gabbay believes that the opposition should get prepared for an early election in light of recent revelations. “The events of the last two days and recent hours make very clear: The Netanyahu age is over. We must prepare for an election soon. The criminal house of cards the prime minister built in recent years — corrupting the civil service, harming the rule of law, threatening freedom of the press and more than all else, dividing Israeli society — is crashing down on him and around him,” Gabbay wrote in a letter to party lawmakers on Tuesday night. Gabbay insisted that Netanyahu should resign immediately, claiming that other parties’ leaders would agree with him. “We must focus our efforts on one thing: To win the elections and provide Israel with leadership and a government that has values, integrity, is transparent, does not flip-flop and is not working for any tycoons,” Gabbay stressed. Either way, Zionist Union faction Chairman Yoel Hasson is said to be working on steps in preparation for an election on Wednesday, although, according to the Jerusalem Post, his office abstained from giving any comment on whether the party was preparing a bill to dissolve the Knesset. At the same time, Meretz party member Ilan Gilon, who is running in the party’s leadership primary in March, urged candidates to form an election task force. 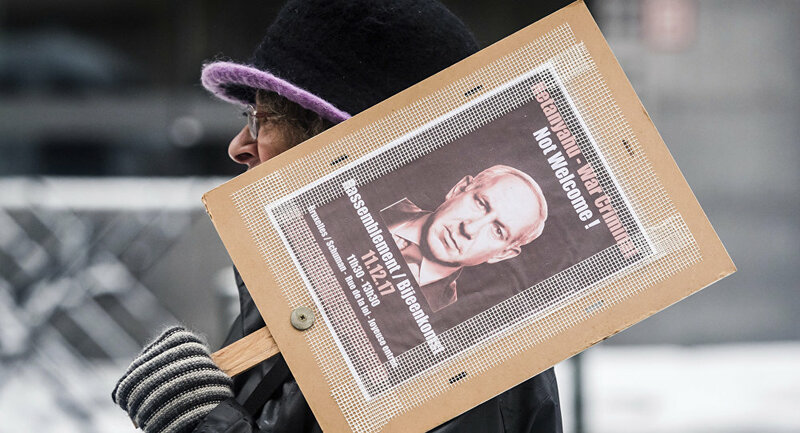 Last week Israeli police recommended the indictment of the country’s Prime Minister Benjamin Netanyahu on ground of bribery, fraud and breach of trust in two corruption cases. Responding to the allegations, Netanyahu slammed the police probe against him is "like Swiss cheese" full of holes, stressing that the truth would eventually come out. He stated that his government was stable and no early election was being planned. Post limit reached. Please try again in a minute. Don Doth Protest Too Much?